You are more than welcome to drop by to see the most beautiful club at the Spree! The Watergate is one of the most popular clubs in Berlin. Recommended procedure: Bring your new IRIEDAILY pieces home, take a rest and return to the club. On Saturday (04.05.) 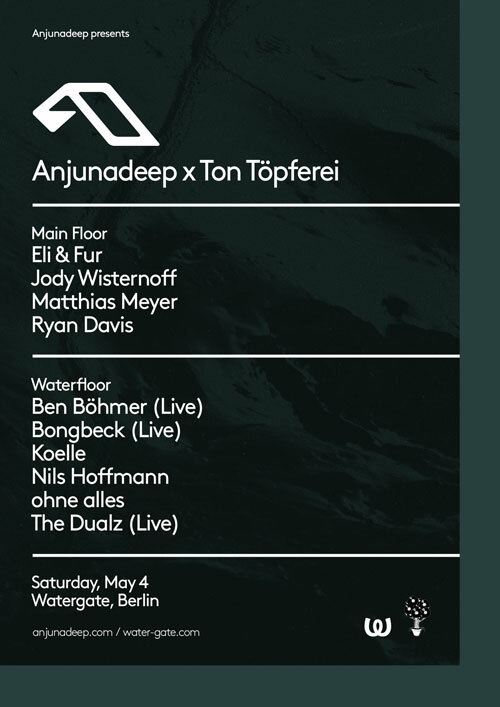 the event “Anjudeep x Ton Töpferei” will take place at Watergate.